InSight app offers visual fingerprinting for Google Glass. Think about the last time you recognized someone in a crowd without seeing their face. Did you even stop and marvel at all the visual cues your brain had to cobble together near-instantaneously? Or did you just think, “Oh cool, there’s Tim”? Now, using only a few smartphones and a little Google Glass, researchers are pioneering the art of visual fingerprinting. Using these images, the app gathers information ranging from color and shirt pattern to body structure and shoulder width. It sends these data to the cloud in order to construct individual, visual “fingerprints” that can be linked to a person’s name or social profiles via the phone app, if he or she chooses. 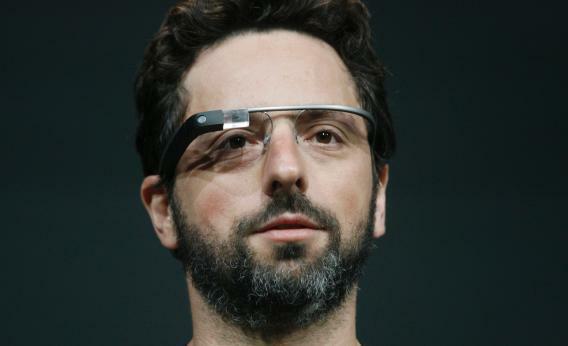 Google Glass can then check those fingerprints against what it sees in the crowd and start matching data by algorithm. When it makes a positive identification, another InSight user will see the person marked by a little arrow, nametag, or other visual indicator through Glass’s display. So now if you lose your friend in the crowd, Glass might spot her before you do. Interestingly, some of the system’s shortcomings can be overcome by sheer volume of data. Just as no one ant or bee knows every source of food near the nest, InSight would work best as a recursive process in conjunction with a few other sets of eyes. One Glass-wearer may be able to ID someone irrelevant to them, but doing so contributes data to the cloud that enhances the individual’s digital fingerprint. This makes him easier to ID for other Glass-wearers from diverse angles—even from behind. This is the advantage of recognition that does not rely on faces. Of course, this technology raises myriad concerns about privacy and security. The paper’s authors note that the opportunistic photos taken by one’s phone are the first level of opt-in, as the system cannot function without such data. So far, InSight gets dicey as the crowd’s size increases, and it’s obviously better able to identify people straight on than from behind. This technology presents many interesting applications. Imagine the efficiency of visual fingerprints when networking at a convention or recruiting new hires at a job fair. You could recognize someone you follow on Twitter or use InSight to avoid the old I’m-bad-with-names crutch. The ability to broadcast information above your head could even help you find someone to share a cab with at the airport. And with the integration of live-tweets, InSight could quite literally change the way we view social media. While this project is reminiscent of the futuristic Gladius soldier system, it should be noted that InSight is funded by Google Glass and the National Science Foundation—not DARPA or the CIA. Nor do the researchers have the least bit of interest in pinning a crime on Tom Cruise, Will Smith, or even Shia LaBeouf. It ought to be quite some time before enough folks own (and regularly use) Glass-like arrays to give us the benefits and/or conspiracy theories that accompany a hive mind. Even still, a bar in Seattle has already banned Google Glass. And if you’re really worried about the escalating arms race of recognition technology, you can always fight back with this line of anti-surveillance fashion accessories. Because nothing says “I’m totally sane” like the Anti-Drone Hoodie.